- Better organization to allow the VPHA to proceed "by itself". VPHA-reading-overview-file, VPHA-reading-workflow and info@ vph-ald.com address enable the VPHA participants to find reading that is useful for the progress of the whole VPHA. How to make your own Gold ALD Precursor in the lab! Diethyl ether purified using an Mbraun Solvent Purification System. P.S. by the way you may need one of these too - a Picosun PEALD reactor from Finland a Picosun Picoplasma Lapin Kulta Edition. Thanks Rob for Sharing this one in the FEP Group on LinkedIn as Semiconductor Today reported yesterday : Researchers in France believe they have made preliminary steps towards establishing a silicon-on-insulator (SOI) complementary metal-oxide-semiconductor (CMOS) platform for quantum information processing. Quantum information processing promises a revolution in cryptography and database searching. In particular, the superposition of quantum amplitudes enables a radical form of parallel processing for which a large number of potential super-efficient algorithms have been developed (and implemented on a relatively small scale in various model/prototype systems). CEA-Leti and CEA-Inac have adapted a quantum dot technology originally developed for very-large-scale integration (VLSI) CMOS circuits. The dots are located beneath the gate electrode of field-effect transistors [Romain Lavieville et al, Nano Letters, vol15, p2958, 2015]. The dots can be populated with a small number of charge carriers (electrons or holes, depending on nFET or pFET structure), when the operating temperature is 0.1K. What makes this extraordinary interesting is that the work is not done on some 10x10mm test coupon cluster tool but in a state of the art 300mm fab using standard leading edge CMOS equipment and some advanced lithography and patterning to produce those Si-nanowire - it is all production technology just around the corner. Check out the beautiful ALD HKMG stack below - The HfSiON gate dielectric could actually be MOCVD since they do not explicitly state ALD in the paper. MOCVD High-k is used in production in the IBM common platform which next door neighbor in Grenoble to CEA/Leti, STMicro is member of together with Samsung, Globalfoundries and Panasonic. TEM image showing the cross section of the 3.4 nm diameter CVD grown silicon nanowire (3.4 nm), the 7 nm thick SiO2 gate oxide, the 1.9 nm HfSiON, and the 5 nm ALD TiN/polysilicon gate [Figure from graphical abstract, Romain Lavieville et al, Nano Letters, vol15, p2958, 2015]. Many ALD reactors out there are standing idle over the Christmas holidays and maybe this is a good opportunity to sneak into the lab and run some ALD protective coating on your silver silver objects you have at home. Here is an Open Source article from University of Maryland, E-squared Art Conservation Science and The Walters Art Museum on how to protect silver objects by Al2O3 ALD using a Beneq TFS500 reactor. Silver, prized throughout history for its luster and shine, develops a black Ag 2 S tarnish layer that is aesthetically displeasing when exposed to atmospheric pollutants. Tarnishing, and subsequent polishing, leads to irreversible material loss and object damage. Currently, nitrocellulose coatings are often used to prevent silver from tarnishing, however non-uniform coatings and degradation over time limit their effectiveness. Atomic layer deposition (ALD) has been explored as a new method for creating dense, uniform, and conformal coatings on 3-dimensional (3D) objects that are more effective than nitrocellulose in preventing silver from tarnishing. Thick ALD films, deposited with sufficiently long precursor pulse and purge times, may be effective in preventing complex, 3D non-mixed media silver cultural heritage objects from tarnishing. 2015 - The year of The MOF - Here is yet another publication on MOF that you should download and read if you have access to Nature Materials. Here scientists at Imec (Belgium), CSIRO Manufacturing Flagship (Australia), MBI, National University of Singapore and KU Leuven (Belgium) are using different paths to integrate CVD MOF deposition on to patterned structures. One path involves a conformal ZnO liner deposited on a 300 mm ASM Emerald PEALD reactor. So as I understand it Imec is actually now running MOFs in their leading edge 300 mm CMOS line, whih is pretty cool. Unless this work was done elsewhere like at the Hols Centre across the border in the Netherlands, who also have a 300mm ASM Emerald process module. For your convenience I went through the process of acquiring a online license to publish the abstract and one picture from Nature - Bitteschön! Integrating metal–organic frameworks (MOFs) in microelectronics has disruptive potential because of the unique properties of these microporous crystalline materials. Suitable film deposition methods are crucial to leverage MOFs in this field. Conventional solvent-based procedures, typically adapted from powder preparation routes, are incompatible with nanofabrication because of corrosion and contamination risks. We demonstrate a chemical vapour deposition process (MOF-CVD) that enables high-quality films of ZIF-8, a prototypical MOF material, with a uniform and controlled thickness, even on high-aspect-ratio features. Furthermore, we demonstrate how MOF-CVD enables previously inaccessible routes such as lift-off patterning and depositing MOF films on fragile features. The compatibility of MOF-CVD with existing infrastructure, both in research and production facilities, will greatly facilitate MOF integration in microelectronics. MOF-CVD is the first vapour-phase deposition method for any type of microporous crystalline network solid and marks a milestone in processing such materials. I once got an award and spend it all on a trip across the Baltic pond on a 2 week trip to Helsinki to learn about in-situ ALD from the Master Anti Rahtu and twice to visit two other masters in in-situ ALD Jaan Aarik and Kaupo Kulki in Tartu, Estonia. 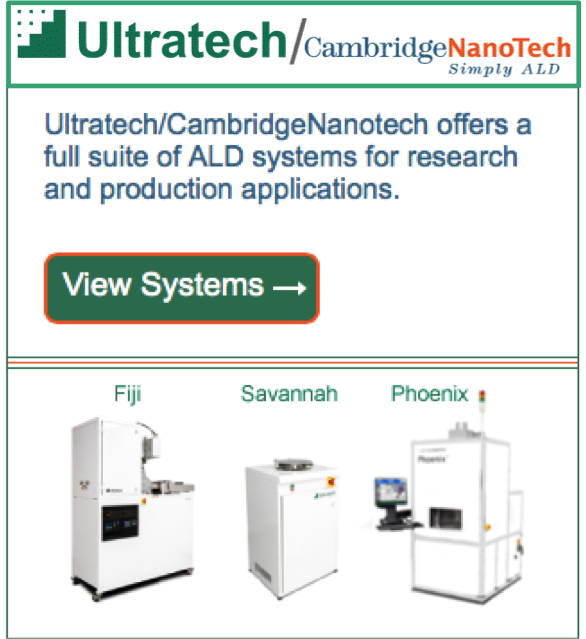 Here we have a lucky ALD-Guy from Down Under who gets to travel across the globe from Melbourne to Boston to spend 2 weeks of ALD in the Cambridge Nanotech ALD Applications Lab. This must be travel money well spent! Please send us a picture! As reported by Melbourne Centre for Nanofabrication: Congratulations to MCN (ANFF-VIC) Process Engineer, Dr Lachlan Hyde for nabbing a coveted Frater Award at this year's annual ANFF showcase in Brisbane. The Frater's are local/international travel awards aimed at fostering technical and professional growth of ANFF staff. Lachlan will be using his award to travel to Ultratech/Cambridge NanoTech's labs in Boston for a two week stint devoted to ALD process development. Here is a cool paper from from Prof. Gitti Frey and Moshe Moshonov at Technion, Israel Institute of Technology, Haifa Israel on Self-assembled block copolymer template and ALD. This is a rather hot topic for future nano patterning. They are using an ALD reactor that I did not come across until now - a MVD100E Applied MST system with an integrated oxygen plasma module to do ALD of ZnO into the organic films and self assembly of Block Copolymers. Here is also a video that I found on Youtube on how to operate the MVD100E tool from The Integrated Nanosystems Research Facility at The University of California, Irvine (INRF UCI). The simplicity and versatility of block copolymer self-assembly offers their use as templates for nano- and meso-structured materials. However, in most cases, the material processing requires multiple steps, and the block copolymer is a sacrificial building block. 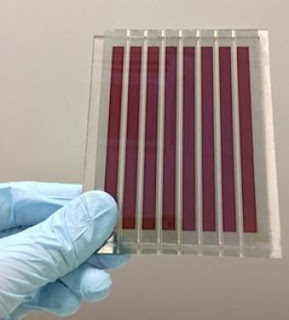 Here, we combine a self-assembled block copolymer template and atomic layer deposition (ALD) of a metal oxide to generate functional hybrid films in a simple process with no etching or burning steps. This approach is demonstrated by using the crystallization-induced self-assembly of a rod–coil block copolymer, P3HT-b-PEO, and the ALD of ZnO. The block copolymer self-assembles into fibrils, ∼ 20 nm in diameter and microns long, with crystalline P3HT cores and amorphous PEO corona. The affinity of the ALD precursors to the PEO corona directs the exclusive deposition of crystalline ZnO within the PEO domains. 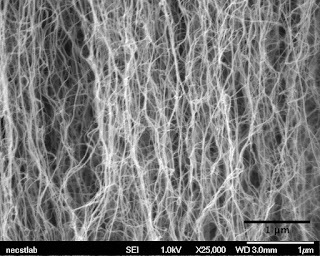 The obtained hybrid structure possesses the properties desired for photovoltaic films: donor–acceptor continuous nanoscale interpenetrated networks. Therefore, we integrated the films into single-layer hybrid photovoltaics devices, thus demonstrating that combining self-assembly of functional block copolymers and ALD is a simple approach to direct desired complex hybrid morphologies. ETH Zurich reports: Researchers of ETH Zurich and ETH start-up company Scrona achieve a new world record! 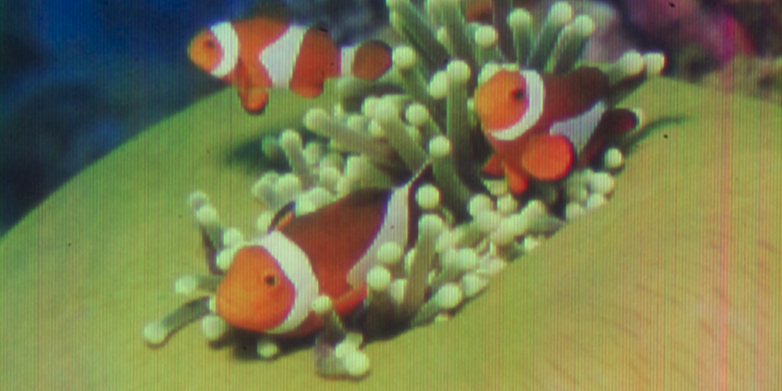 They have printed a color picture depicting clown fishes around their sea anemone home. This picture is as tiny as the cross-sectional area of a human hair. EurekAlert! 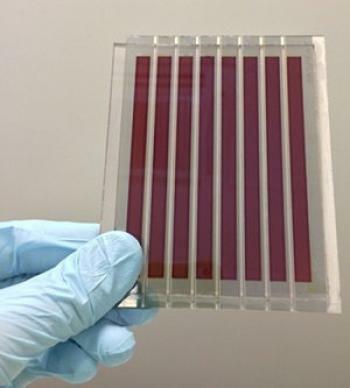 reports: "We studied strontium ruthenate - a typical perovskite material," says Ulrike Diebold. It has a crystalline structure containing oxygen, strontium and ruthenium. When the crystal is broken apart, the outermost layer consists of only strontium and oxygen atoms; the ruthenium is located underneath, surrounded by oxygen atoms. A water molecule that lands on this surface splits into two parts: A hydrogen atom is stripped off the molecule and attaches to an oxygen atom on the crystal's surface. This process is known as dissociation. However, although they are physically separated, the pieces continue to interact through a weak "hydrogen bond". Although perovskite oxides hold promise in applications ranging from solid oxide fuel cells to catalysts, their surface chemistry is poorly understood at the molecular level. Here we follow the formation of the first monolayer of water at the (001) surfaces of Srn+1RunO3n+1 (n = 1, 2) using low-temperature scanning tunnelling microscopy, X-ray photoelectron spectroscopy, and density functional theory. 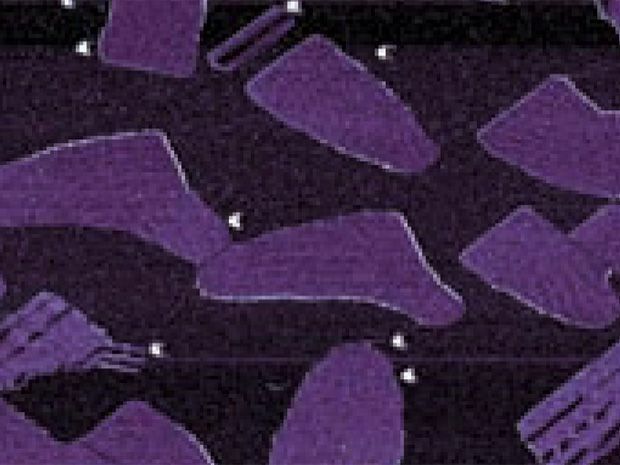 These layered perovskites cleave between neighbouring SrO planes, yielding almost ideal, rocksalt-like surfaces. An adsorbed monomer dissociates and forms a pair of hydroxide ions. The OH stemming from the original molecule stays trapped at Sr–Sr bridge positions, circling the surface OH with a measured activation energy of 187 ± 10 meV. At higher coverage, dimers of dissociated water assemble into one-dimensional chains and form a percolating network where water adsorbs molecularly in the gaps. Our work shows the limitations of applying surface chemistry concepts derived for binary rocksalt oxides to perovskites. Here is a fresh review in Advanced Materials on ALD modelling from Simon Elliott and co-workers at Tyndall National Institute University College Cork. It contains an rather interesting part on MLD/ALD combination. Recent progress in the simulation of the chemistry of atomic layer deposition (ALD) is presented for technologically important materials such as alumina, silica, and copper metal. Self-limiting chemisorption of precursors onto substrates is studied using density functional theory so as to determine reaction pathways and aid process development. The main challenges for the future of ALD modeling are outlined. Queen Elisabeth investigating The Tyndall Effect sporting a clean room hat and Class 100 stealth clean room gloves at a visit to Tyndall Institute, University College Cork in 2011. MIT News Reports: Engineers at MIT have devised a new technique for trapping hard-to-detect molecules, using forests of carbon nanotubes. The team modified a simple microfluidic channel with an array of vertically aligned carbon nanotubes — rolled lattices of carbon atoms that resemble tiny tubes of chicken wire. 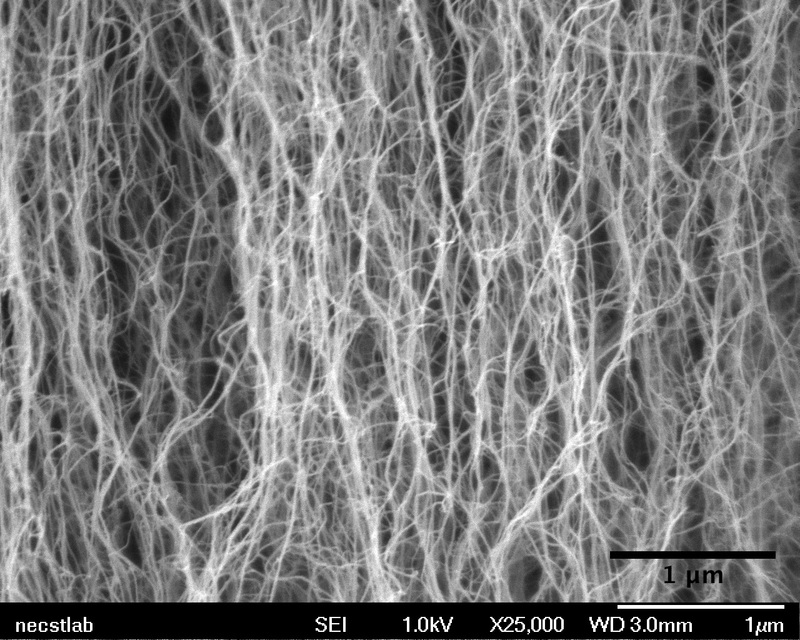 The researchers had previously devised a method for standing carbon nanotubes on their ends, like trees in a forest. With this method, they created a three-dimensional array of permeable carbon nanotubes within a microfluidic device, through which fluid can flow. 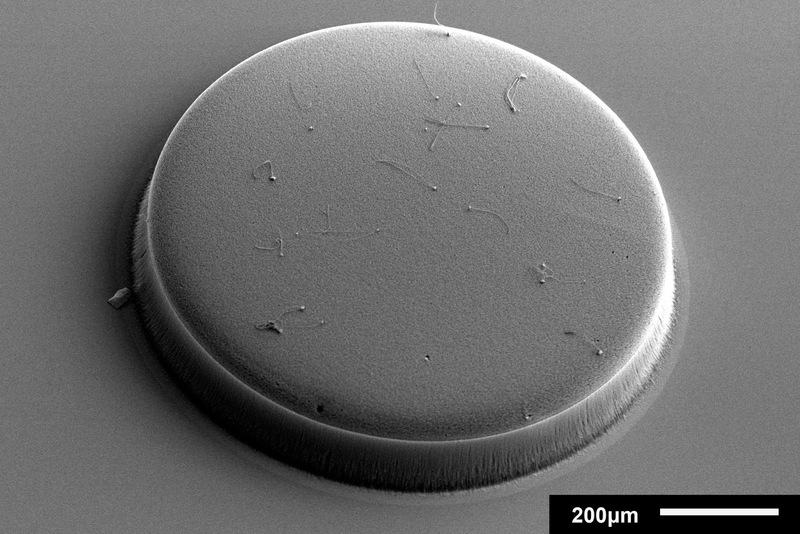 Now, in a study published this week in the Journal of Microengineering and Nanotechnology, the researchers have given the nanotube array the ability to trap certain particles. To do this, the team coated the array, layer by layer, with polymers of alternating electric charge. Picosun Oy, leading supplier of highest quality Atomic Layer Deposition (ALD) thin film coating solutions for industrial manufacturing, successfully applies ALD technology to protect sensitive electronic components against harsh environmental conditions. ALD oxide nanolaminates developed by Picosun have been proven to efficiently protect printed circuit board (PCB) components from aging effects such as corrosion and tin whisker formation. Corrosion typically occurs on the interface between the board and the component. Gaps in the solder tin covering the sharp edges of the component’s conducting pins may leave them vulnerable against environmental factors such as humidity, liquid and gaseous impurities. This is particularly detrimental in several high end applications where unfaltering component performance is required, such as in aerospace electronics. ALD forms ultra-thin, hermetic, inert, flexible, and protective film over the whole board, isolating even the most sensitive points from the ambient conditions. Due to the nanometer-scale thickness, the ALD film has negligible impact on the PCB functionality. “Production-scale processing of PCBs requires production-optimized ALD technology. Picosun has unmatched and the most comprehensive expertise in providing large scale ALD solutions to various industries, not only to semiconductor and IC manufacturing but also for protection of 3D items – coins, watch and jewelry parts, and medical implants being just a few examples. Expanding our business to PCB encapsulation is yet another example of ALD’s penetration throughout the spectrum of today’s industrial manufacturing”, states Juhana Kostamo, Managing Director of Picosun. The Picosun-ESA contract is a part of an activity funded by the ESA programmes European Component Initiative Phase 4 and Strategic Initiative. Disclaimer: The views expressed herein can in no way be taken to reflect the official opinion of the European Space Agency. As you can imagine ALD has a global interest and it is always existing to follow which countries that make it to the top 10 on a weekly basis. This week we have The UK and Taiwan making it to the top 10 kicking out Sweden and The Netherlands. 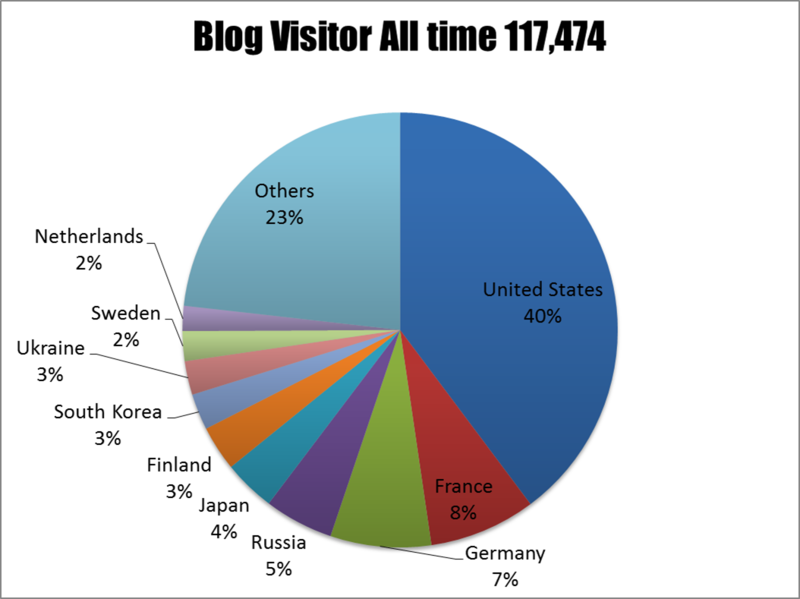 Above is the overall visitor statistics since the start. US is for sure still in the lead and France has taken up a new No.2 position pushing down Germany one down - Vive la France! Interestingly there was 5 visitors from Brazil today. Here are some of the most popular posts in December - as you can see it is the leading edge stuff people enjoy reading about. As Riikka just announced - Now it is here the Essay on the history of creation and development of the molecular layering technique (ML) and later known as atomic layer deposition (ALD). We´re collecting contributions to make it an Open Access and are short of $1,000 of the total $3,000 needed - please contact either me or Riikka Puurunen if you would like to contribute! Abstract: This essay is dedicated to the history of creation and development of the molecular layering technique (ML) which, in the modern community of non-Russian scientists, is commonly referred to as atomic layer deposition (ALD). Basic research in the field of chemical transformations of solid surfaces using the ML method in the light of the “framework” hypothesis proposed by V. B. Aleskovskii in 1952 is discussed. A number of questions raised by international scientists including those involved in the Virtual Project on the History of ALD (VPHA, 2013), and scientists from conferences in Helsinki (Finland, May 2014. ), Kyoto (Japan, June 2014), and personal communications amongst peers are addressed. 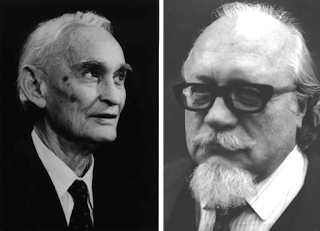 For the first time in English, this article provides information about V. B. Aleskovskii and S. I. Kol'tsov who are closely associated with development of the ML technique in the Soviet Union. This paper also informs the scientific community about research groups currently engaged in ML research in Russia and introduces the scientific school of “Chemistry of highly organized substances”, founded and supervised by V. B. Aleskovskii. The authors express their deep gratitude to all the colleagues who initiated the writing of this review, particularly R. Puurunen and A. Abdulagatov. Special thanks to A. Abdulagatov for his valuable suggestions that helped strengthen the content of this article. The topic suggestions that have been sent to us by our colleagues from different countries have allowed us to more clearly define the structure and content of this article and we have tried our best to cover them all in detail. Great thanks to Puurunen Riikka (Finland), Sundqvist Jonas (Sweden), Pedersen Henrik (Sweden), Koshtyal Yury (Russia), van Ommen, J. Ruud, (the Netherlands). We would like to acknowledge the Russian science Foundation for partial financial support (contract No. 14-13-00597). Here is a fresh open source publication on a rather hot topic - using ALD in Metal-Organic Framworks (MOFs). It is really a fantastic publication giving step by step detailed instructions how to perform the materials synthesis. The researchers come from Northwestern University, Argonne National Laboratory and King Abdulaziz University. They are using ALD to deposit into the extremely well defined porous material. The ALD processing is performed in the popular Ultratech/Cambridge Nanotech Savannah reactor using a grid powder holder (see description below). Some of the researchers are involved in a startup company, NuMat Technologies, which is seeking to commercialize metal-organic frameworks. The synthesis of NU-1000, a highly robust mesoporous (containing pores >2 nm) metal-organic framework (MOF), can be conducted efficiently on a multigram scale from inexpensive starting materials. Tetrabromopyrene and (4-(ethoxycarbonyl)phenyl)boronic acid can easily be coupled to prepare the requisite organic strut with four metal-binding sites in the form of four carboxylic acids, while zirconyl chloride octahydrate is used as a precursor for the well-defined metal oxide clusters. NU-1000 has been reported as an excellent candidate for the separation of gases, and it is a versatile scaffold for heterogeneous catalysis. In particular, it is ideal for the catalytic deactivation of nerve agents, and it shows great promise as a new generic platform for a wide range of applications. Multiple post-synthetic modification protocols have been developed using NU-1000 as the parent material, making it a potentially useful scaffold for several catalytic applications. The procedure for the preparation of NU-1000 can be scaled up reliably, and it is suitable for the production of 50 g of the tetracarboxylic acid containing organic linker and 200 mg–2.5 g of NU-1000. The entire synthesis is performed without purification by column chromatography and can be completed within 10 d.
Graphene-info reports: Researchers involved in the €10.6 million European research project called GRAFOL have reportedly demonstrated a cost-effective roll-to-roll production tool capable of making large sheets of graphene on an industrial scale. The tool operates at atmospheric pressure and at reduced operating temperature, and is proclaimed by the researchers "the best route to low-cost manufacture". On December 1, 2015, SAMCO Inc. signed an international distributor agreement with Epiluvac AB, a Swedish manufacturer of silicon carbide (SiC) CVD systems. The agreement terms grant SAMCO exclusive distribution rights in Japan, Taiwan, Singapore, Malaysia and the Philippines. As a global enterprise, SAMCO is marketing its dry etching and various CVD systems in Asia, Europe and North America in addition to gaining market share within Japan. SAMCO's dry etching and plasma CVD technology serves applications involving wide band-gap semiconductor materials (e.g. RF devices, LEDs, semiconductor laser fabrication, power devices, etc.). Recently, SAMCO has placed its focus on selling production systems for next-generation GaN and SiC power devices, which are cornerstones to "green electronics" that have a large impact on energy conservation. Epiluvac (headquartered in Lund, Sweden) is a technology company that has engaged in the development, production, and sale of SiC CVD systems used by research institutions around the world for power device applications since its establishment in 2013. Having combined Epiluvac's SiC CVD system with its existing product lineup of plasma CVD, dry etching, and surface treatment systems, SAMCO offers a "one stop solution" for customers involved with SiC power device applications. Many reports on action in the 200mm fab and equipment market space these days. Here is another launch for Power Electronics (SiC and GaN). As reported by Semiconductor Today: SAMCO Inc of Kyoto, Japan, a supplier of plasma etch, chemical vapour deposition (CVD) and surface treatment systems to compound semiconductors device makers, has launched an atomic layer deposition (ALD) system focusing on gate oxide formation of silicon carbide (SiC) and gallium nitride (GaN) power devices. SAMCO's new AL-1 ALD system. SAMCO designs and manufactures dry etching systems, PECVD, and UV-ozone and plasma cleaning systems, delivering processing solutions for wide-bandgap semiconductor devices such as RF devices, LEDs, laser diodes and power devices. SAMCO's new AL-1 ALD system deposits pinhole-free AlOxand SiO2 films, which are optimal for the gate oxide in GaN MOSFET, GaN MOS-HFET and 4H-SiC MOSFET devices. The system features precise film thickness control at the atomic-layer level (1.2Å per cycle at a deposition temperature of 350°C). The deposited AlOx film (with a breakdown voltage of 7.5MV/cm) also provides what is claimed to be excellent step coverage (with an aspect ratio of 32:1, width of 1.25μm, and depth of 40μm) with just 103nm-thick oxide films. 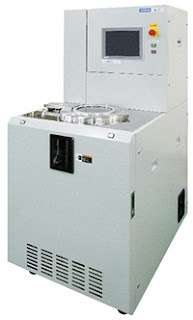 SAMCO says that the AL-1 is capable of depositing uniform oxides on an 8-inch wafer or three 4-inch wafers and is suitable for R&D and pilot production. To strengthen its turn-key solutions for next-generation power device production, on 1 December SAMCO also signed a distributor agreement with Epiluvac AB of Lund, Sweden (which produces SiC CVD systems used in power device research). Now researchers at Northwestern University and Argonne National Laboratory have found an easy and inexpensive technique to create borophene. Please check out the full details in the Science paper below. At the atomic-cluster scale, pure boron is markedly similar to carbon, forming simple planar molecules and cage-like fullerenes. Theoretical studies predict that two-dimensional (2D) boron sheets will adopt an atomic configuration similar to that of boron atomic clusters. We synthesized atomically thin, crystalline 2D boron sheets (i.e., borophene) on silver surfaces under ultrahigh-vacuum conditions. Atomic-scale characterization, supported by theoretical calculations, revealed structures reminiscent of fused boron clusters with multiple scales of anisotropic, out-of-plane buckling. Unlike bulk boron allotropes, borophene shows metallic characteristics that are consistent with predictions of a highly anisotropic, 2D metal. Happy to welcome Beneq Oy as sponsors of The BALD ALD Blog! A warm welcome to Beneq Oy of Finland - one of the new sponsors of the BALD Engineering ALD News Blog! You have already been hearing a lot of Beneq here and now you will hear even more! I visited the Beneq factory this summer in Finland and met with Beneq CEO Sampo Ahonen and his Team of ALD Experts and I was very impressed by their knowledge of ALD, the size of their facility and all ALD Products on display(!). Sampo has since then changed position in Beneq and is now Chairman of the Board. The synchrotron facility ALBA, in Barcelona (Spain) and HERALD are organizing the first workshop on Synchrotron Radiation (SR) and ALD. The high brilliance of a SR light source enables to study the atomic structure of matter as well as its properties. SR-based spectroscopic, scattering, and diffraction techniques are usually quiet fast and have a high degree of accuracy, precision and sensitivity. Therefore, they are very well suited to study ALD growth. However, until now, the use of SR to study ALD has remained a niche activity of a few groups, mostly because of technical obstacles, the limited availability of beam-time and/or issues concerning the use of certain precursors at synchrotron facilities. The workshop will take place at ALBA in June 2016 (more information here: https://indico.cells.es/indico/event/63/). Abstract submission will be opened in January 2016. Fee rates will be low for students, in order to facilitate their participation. For further information, please contact Massimo Tallarida (mtallarida@cells.es) and check the webpage (https://indico.cells.es/indico/event/63/). A new effect discovered at Drexel University of a material stack that could be used to relay information between molecules by UV light like in a memory chip but with the significant advantage of doing it without an electric current. "While studying a sample of lanthanum aluminate film on a strontinum titanate crystal, the team, led by Drexel College of Engineering Professor Jonathan E. Spanier, Andrew M. Rappe, from Penn; Lane W. Martin, from Berkeley and Temple's Xiaoxing Xi, discovered that the sample was beginning to emit intense levels of UV light. Carefully reproducing the experimental conditions helped them realize that water molecules might be playing a role in the UV light being emitted from inside the material." In the presence of a water molecule on its surface, lanthanum aluminate film on a strontium titanate crystal emits ultraviolet light from its interior (Drexel University). 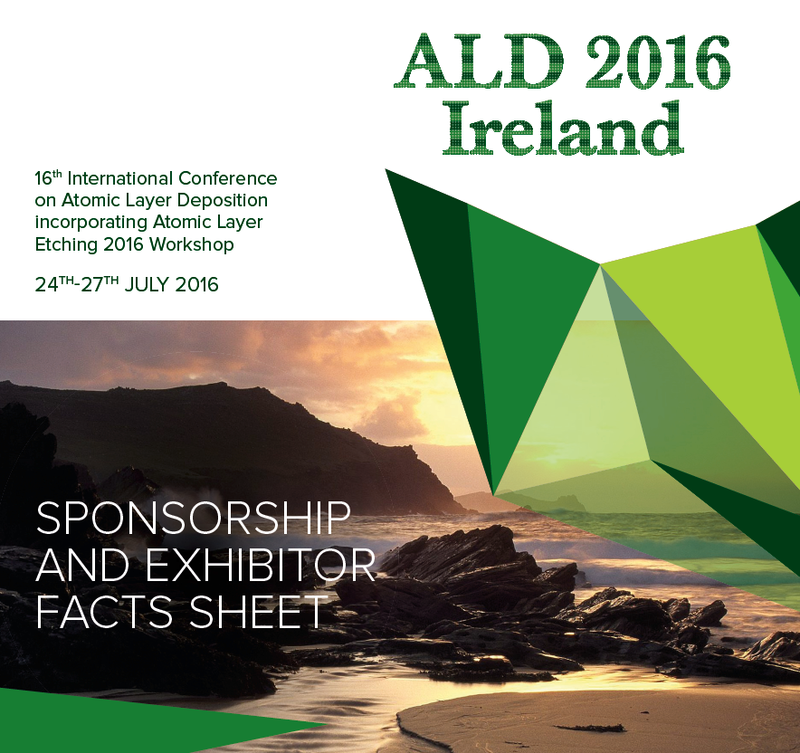 There are some fantastic opportunities for your organization or company for sponsoring the ALD 2016 and ALE 2016 in Dublin or take part in the exhibition this summer. Click here to download a copy of the ALD 2016 Ireland ‘Sponsorship and Exhibitor Facts Sheet’. Here is a new ALD process for the III/V compound semiconductor GaAs from Laboratory of Inorganic Chemistry at Helsinki University (Prof. Leskelä & Prof. Ritala). GaAs has a zinc blende crystal structure and is used to manufacture devices such as microwave frequency integrated circuits, monolithic microwave integrated circuits, infrared light-emitting diodes, laser diodes, solar cells and optical windows. So a lot of military technology is based on this material. 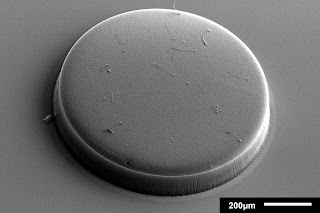 However, GaAs is often used as a substrate material for the epitaxial growth of other III-V semiconductors including: Indium gallium arsenide, aluminum gallium arsenide and others that will be become very important channel material for sub 10 nm CMOS for transistors based on vertical and horizontal nano wires. 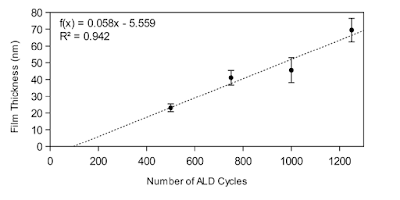 So this paper is sort of back to the roots when ALD was called ALE as in Atomic Layer Epitaxy. Here is some updates on the Kur J. Lesker´s PEALD Tool distributed by John Morris Scientific. Kurt J. Lesker's Atomic Layer Deposition system, the ALD 150LX, can operate as a stand-alone or fully integrated cluster tool system. Typical applications include Nanofabrication, Microelectronics, Optics, MEMS, Semiconductor, Photovoltaics, Photonics, Catalysis & Fuel Cells, Wear Resistance and OLED/Organic electronics. In this chamber cross section you can see how the Kurt J. Lesker engineers has solved the problem of protecting the windows for the elipsometer bz integrating a curtain gas distribution plate in the top chamber lid. Imec presented a high performing gate-all-around InGaAs Nanowire FETs (Lg=50nm) at IEDM 2015. Imec succeeded in increasing the performance by gate stack engineering using a novel gate stack ALD inter-layer (IL) material developed by ASM, and high pressure annealing. The novel IL/HfO2 was benchmarked to the typically used Al2O3/HfO2 stack. TEM of complete gate-all-around InGaAs Nanowire FET and HRTEM of the gatestack. The insert shows a close up of the Interface Layer HKMG developed and presumably deposited by ASM on any of the ASM ALD chambers available at imec - I am assuming that the high-k was deposited in a Pulsar 3000 and the TiN cap in a ASM A412 Large Batch ALD Furnace and I have absolutely no clue what the ALD inter layer may be - obviously it has less electrons than HfO2. Press release from Beneq: Jukka Nieminen(46), M Sc (Tech), has been appointed President of Beneq Oy as of 1.1.2016. Sampo Ahonen (46), M Sc (Tech), who has since 2005 served as the CEO of Beneq, will continue as the Chairman of the Board. Jukka Nieminen (left) and Sampo Ahonen (right). The Board of Directors of Beneq Oy has also decided upon a plan to merge Beneq’s fully-owned subsidiary Beneq Products Oy with the mother company as of 1.1.2016. The combined entity Beneq Oy will have net sales of approximately 21 MEUR with a staff of 125 in Finland, the USA, Germany, Russia and China.